If you run a bar or restaurant, you more than likely have a hectic schedule. Between keeping up with your employees, managing your sales and revenue, keeping track of inventory, and everything else, you might be wishing there was a simpler way to manage your business. A point-of-sale system is the lifeline that can help you. Here’s the truth: a POS system is a money maker for your business. A POS system for your restaurant and bar will help you retain the money you earn. It will help you better serve your guests. It will help you with loyalty programs, marketing, and sales. A POS solution will help you track and manage your food and liquor inventory. 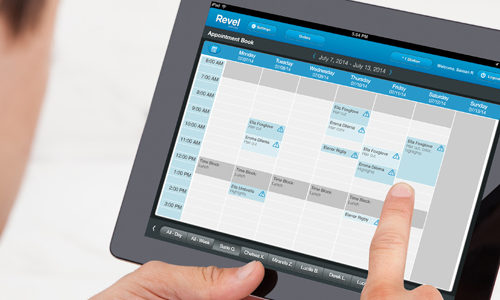 It will help you manage your menu items, and even track your employee’s time and hours worked. But beyond the initial purchase, you’ll also need someone to service and support your new POS system. After you purchase the software you will rely on the software company to supply updates, training, technical support, and possibly new hardware. Would you rather work with a 1-800 number or a person for these things? Businesses that experience the most success with their point-of-sale systems are ones who have a great POS company supporting them. BNG Point-of-Sale works with your business to find the best POS solution for you, but it doesn’t end there. We offer training and service agreements, to help your business beyond the initial purchase. Want to transform how your business uses your point-of-sale system?